Santa Clarita Massage by Natalya offers Professional Experienced Healing Relaxing Medical Therapeutic Spa Style thorough Massage and has the highest positive client ratings on Google and Yahoo of any local massage therapist. Massage is an effective tranquilizer – soothing the nerve endings all over the body, whilst at the same time working on both the central nervous system and the autonomic (or involuntary) nervous system. 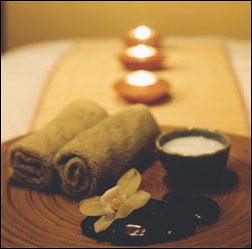 Massage is also said to aid digestion, by encouraging the production of saliva and the flow of the digestive juices. It assists in our fight against infection, since it boosts the immune system. It stimulates the lymphatic system, which carries the white blood cells; these in turn protect against viruses and degenerative diseases.The object of a massage is to activate the touch receptors in your skin with the appropriate level of pressure, so that the receptors send pleasurable messages to your brain. To feel better, relieve any discomfort, decrease stress levels, feel more relaxed and have a body that functions more efficiently, schedule regular appointments with me. 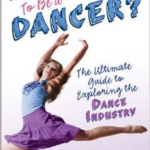 In this book there is interview with me, as an experienced, professional massage therapist with in site on what dancers need for treatment in keeping them on top of their dance game.